Schnauzers are a popular breed of dog that has been around for hundreds of years, dating back to the 15th century in Germany. 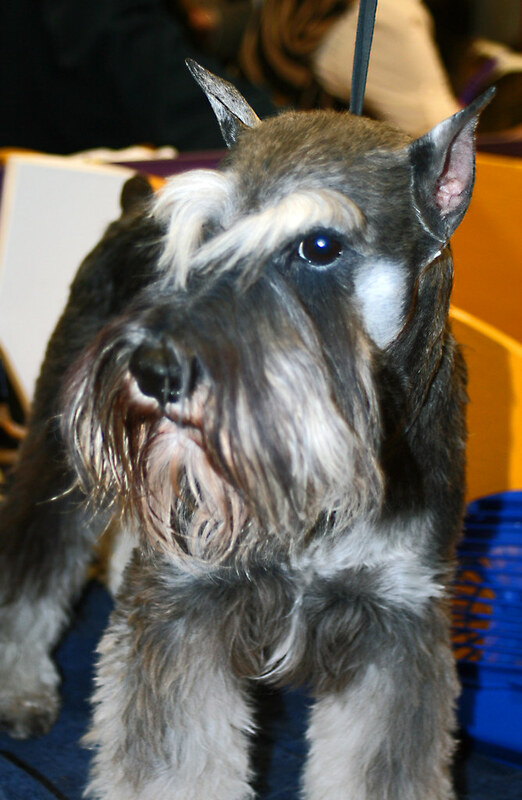 The name schnauzer might seem odd for English speaking people, however, the word "schnauze" is the German word for the snout, so it makes perfect sense as the schnauzer has a very distinct snout with long hair. Originally, Schnauzers were bred to catch rats and to act as guard dogs for the property. Now hundreds of years after their introduction, there are now 5 different sizes of schnauzers that have been bread with other types of dogs to create another unique breed. The first of the 5 different types of Schnauzers is the standard schnauzer. The standard schnauzer is a medium-sized dog, standing about 1.5 feet tall and weighing approximately 25 - 35 pounds. Throughout history, standard Schnauzers have played an integral role in the times of war, acting as messenger dogs, or as guard dogs to important people or property. Miniature Schnauzers are another type of schnauzer which is smaller than the standard schnauzer, standing approximately 12 inches and weighing in at 13-15 pounds. 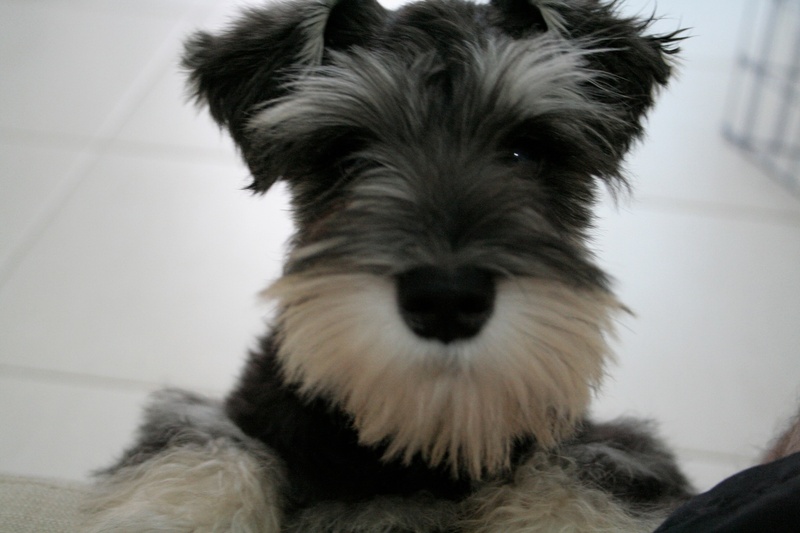 A miniature schnauzer is known for being active and full of energy, but yet are very smart. They are great with children and make a good family dog as they are rarely aggressive. These dogs were a combination of a standard schnauzer bred with a Poodle to make it smaller in size. The miniature schnauzer is actually part of the terrier group of dogs and out of all types of schnauzers, it is the most popular by far as they adapt very well to both rural and urban lifestyles. For those looking for a dog that is well suited to the house, a schnauzer is very popular because they shed very little and do not carry odors as much as other dogs. Giant Schnauzers are just as the name would suggest; Very large versions of schnauzers. They have been bred by Great Danes or Bouviers and can weigh between 65 and 80 pounds. They too have been used as guard dogs and also by farmers to herd cattle. In some cases, they were even used to pull carts of goods, similar to a horse. They may be black and white in color or could also be solid black. The last two Schnauzer types are toy schnauzers and teacup schnauzers. They are basically the same but differ slightly in size and this is how they are distinguished. A toy schnauzer ranges in size from 7.5 to 10 pounds, while the teacup schnauzer is any full-grown schnauzer that us under 7 pounds. For the smaller sizes that are considered teacup schnauzers, they tend to cost more money than the others as they are rarer. Whether you're looking for a great family dog for your home in the city or a dog that will be an effective guard dog for your rural property, Schnauzers are flexible and prepared for either task. The Standard Schnauzer (often called just the Schnauzer) is a working breed. They have bushy eyebrows, a distinct beard and wiry coat. The breed is thought to have first appeared during the Middle Ages. 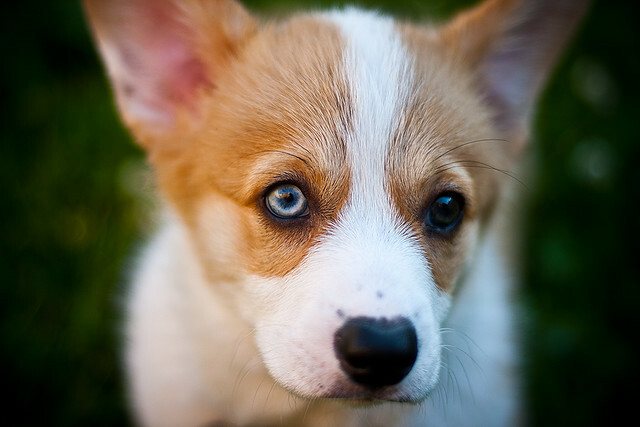 They were initially bred for herding, catching rats and acting as a guard dog. These days they're a popular choice as a police dog, drug detection, search and rescue or companionship. They are believed to have originated in Germany and are a descendant of black Poodles, grey Wolfspitz and German Pinschers. They're identified as a medium sized breed. The standard male measurements are 18.5-19.5 inches high and a weight of 45 pounds, whereas the female dimensions are 17.5-18.5 inches tall and a weight of 35 pounds. They're famous for their bold, lively and fun-loving character. They are suitable as a guard dog, as they will protect their family if required though they are mostly non-aggressive with people they're not familiar with. Compared with all other breeds, they are known to be highly intelligent, and are ranked 18th when learning new things. They're somewhat suitable for a family pet, as they're good with kids (provided they're older). Animals like other dogs who they can become aggressive with don't live well with them. Grooming them is a simple task. They need proper grooming every 6 to 8 weeks, and moderate brushing through their coat every few days. They love having a large, well-fenced backyard so they have plenty of room, but can be suited to apartment life. As with many medium sized breeds, they are by and large longer-lived with a life expectancy of 12-14 years. Their major health risk is hip dysplasia, and they're also vulnerable to skin conditions. Things such as obedience, exploring, running or traveling will give them enjoyment. To prevent bad behavior, they need very long walks each day due to their high level of energy. This breed has been pretty appealing to a number of people, and one of the greatest reasons why is that it is friendly towards guests but will still be able to protect your family if required. One other attractive fact about them is they will go exploring with you anywhere and love to travel. One more characteristic dog lovers like in regards to them is you don't have to worry about many health problems. 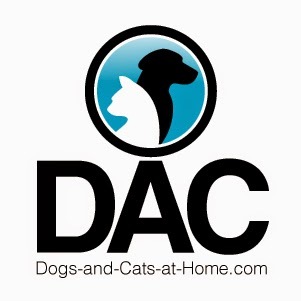 If you'd be interested to read more information about the Standard Schnauzer and other breeds check out this site.